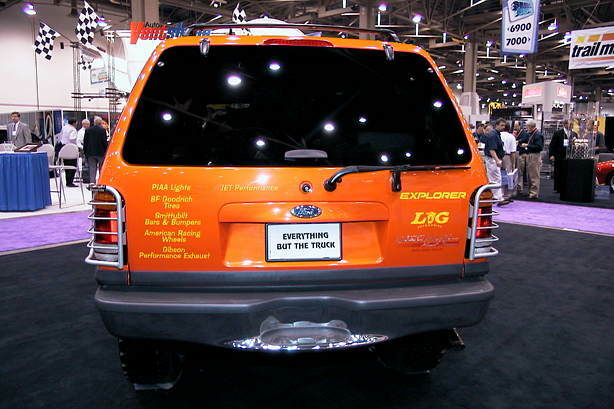 "Dedicated to Ford Explorers Modified for Off-road Use"
For everyone who has been awaiting a lift for the late model Explorers there's great news. 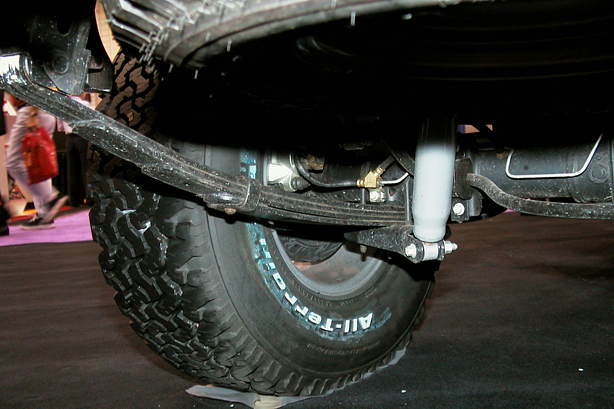 Trailmaster has built a 4" suspension lift based on their popular Ranger lift kit. 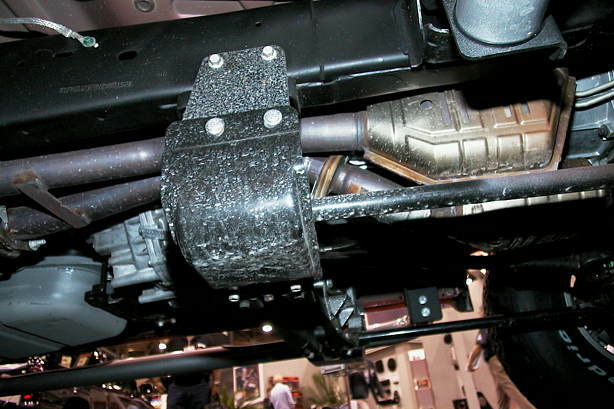 I had a chance to see their new product at at the 1999 SEMA show. 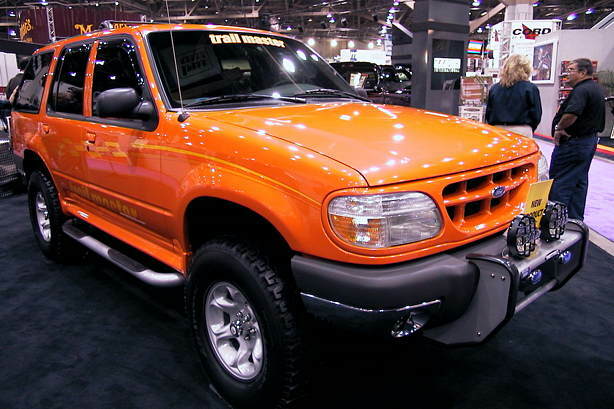 The prototype lift looked GREAT on their '99 Explorer. 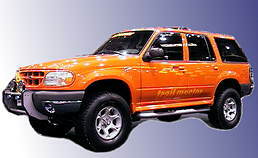 Trailmasters Explorer is running 295x75-17.00 tires which are approximately equivalent to 32x11.50's. It looked to me that 33's should fit without a problem. 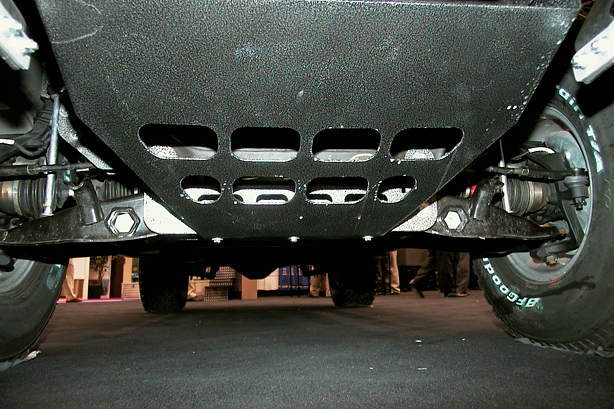 The 295's fit perfectly within the stock wheel wells without the need for extended flares. 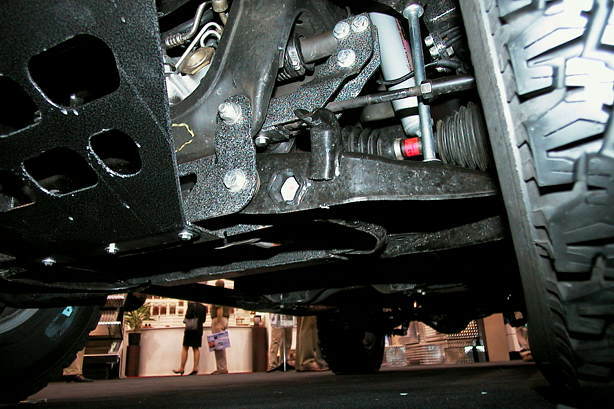 Their 4" kit will include a new rear spring pack and drop brackets for the front suspension. 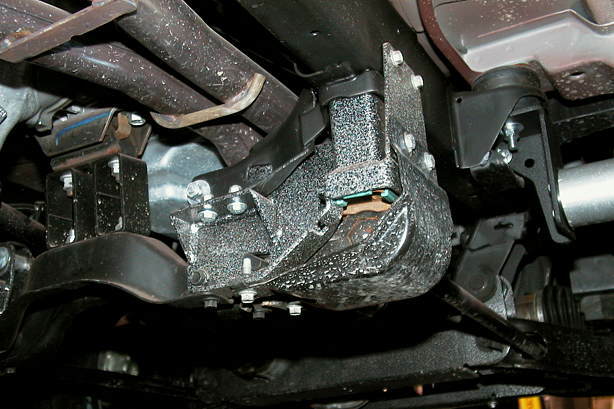 One of the key engineering features of this kit is that the CV joints retain their stock angle allowing full droop and compression travel. Trailmaster will be releasing this kit for sale to the public in the first quarter of '00. You may want to call them to see if they're accepting orders yet. Their number is 800-487-2456. Tell them you saw it here first!